Austin Furtak-Cole participated in the Under the Influence show in Fall 2016 at Village West. Austin Furtak-Cole received his BFA from Green Mountain College in 2003 and completed his MFA in 2009 at Stony Brook University. 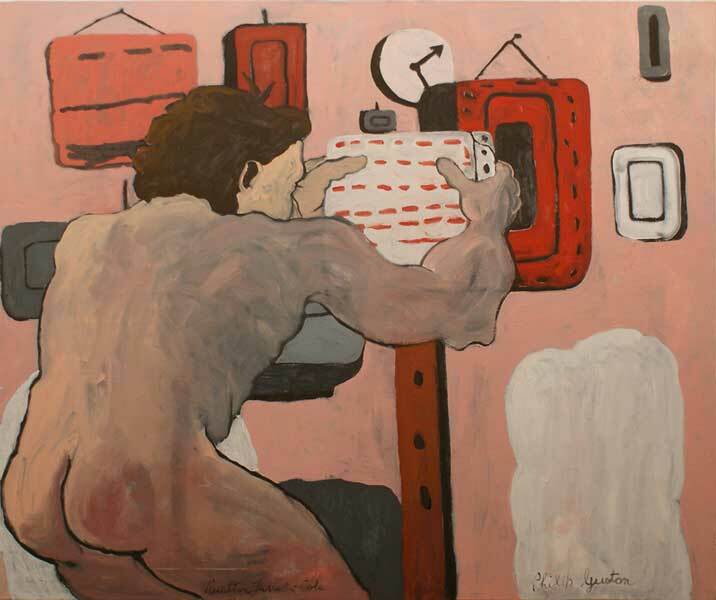 His work has been shown at Kunstverein Tiergarten, Berlin, Germany, Denise Bibro Fine art and Brenda Taylor Gallery in New York City, Somwhere There Art in Toronto, Canada, Parallax AF in London, England, the Gallery at Burlington College in Burlington, Vermont, and the Helen Day Art Center in Stowe, Vermont. From 2011-2013 he was a staff artist at the Vermont Studio Center, and in the summer of 2013 he was the teaching assistant in painting for the Rome Art Program in Rome, Italy. He currently lives and works in Brooklyn, New York. For more information, please visit www.austinfurtakcole.com.